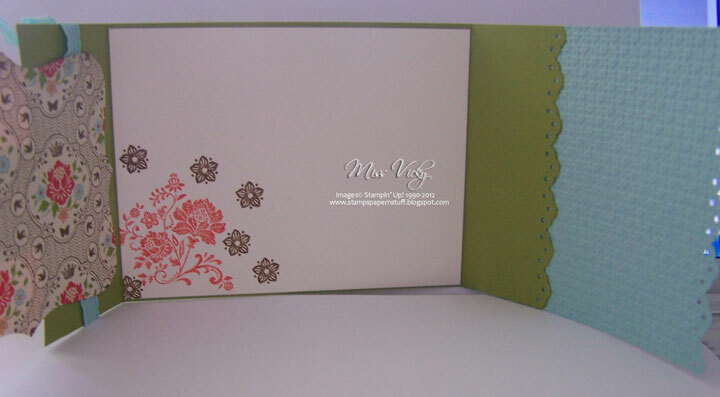 One of our cards we created in Crafty Creations a couple of weeks ago was a Christmas Card Gift Holder. I did find this on Google which led me back to Kay Kalthoff. Those that know me I am not one to watch videos or follow instructions. I sort of sit down & work things out for myself. I did watch a bit of this video, but then went off on my own & ended up with this result! Me being me, I did change it a little, including the papers & the design a little. The class loved it! 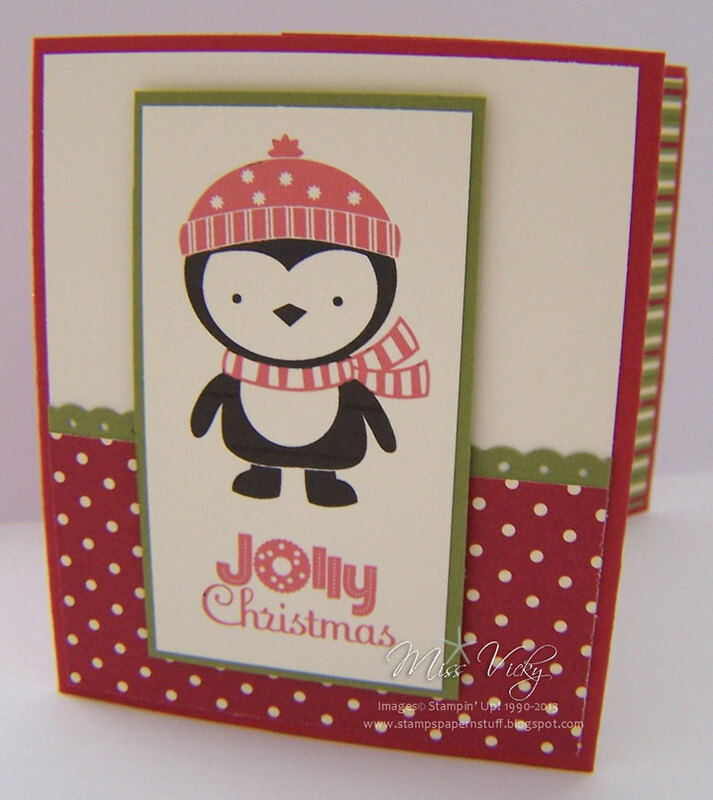 Categories Cards - Christmas, Cards - Xmas, DSP - Jolly Holiday, Gift Card Holder, MDS, Punches, Stampin' Up! 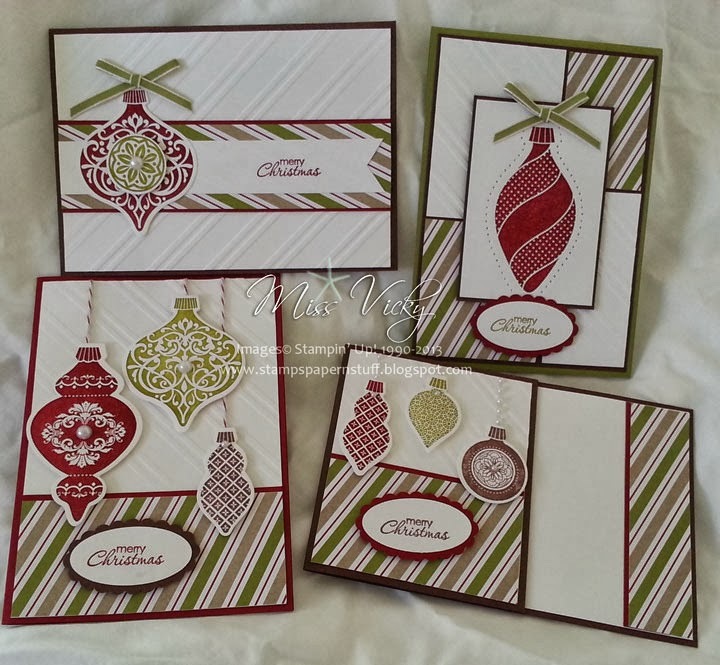 With Christmas just around the corner, this is the prefect chance to make an early start on those cards in time for posting in December. This month, we have showcased the gorgeous new DSP – Season of Style – which is in the Seasonal Catalogue. The kit is very tradition Christmas colours. 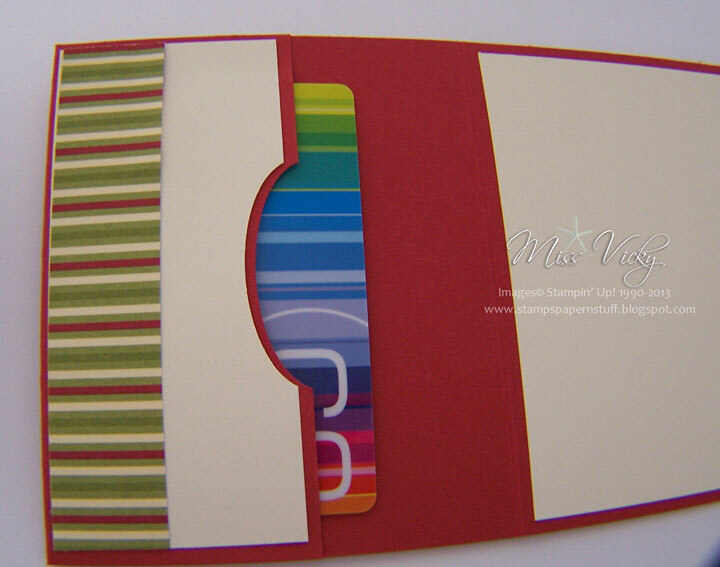 The new Embossing Folder – Stylish Stripes is also showcased in this set of cards. In fact one of the cards has a small surprise inside, but shhhhhhhhhhhh if I tell you what it is then it won’t be a surprise! 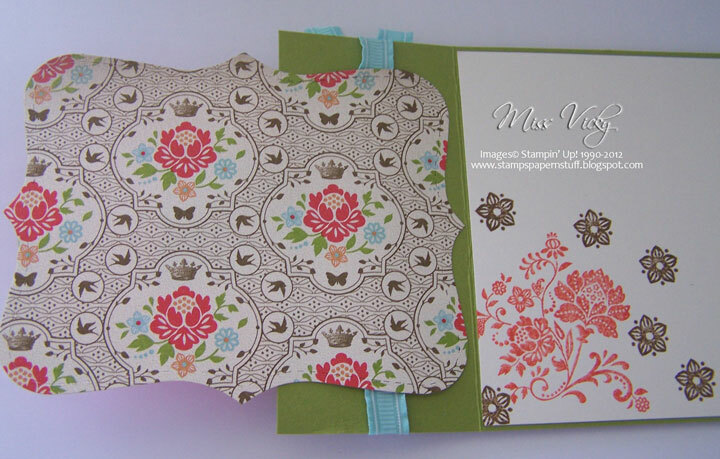 To purchase your kit, all you have to do is click on Stamp of the Month Kits at the top of the page. It will take you straight to the page where you will see the PayPal Drop Down Button. Once payment has been received, your kits will be posted in the mail. You will receive your PDF Tutorial via email. … to order from the Retiring List. 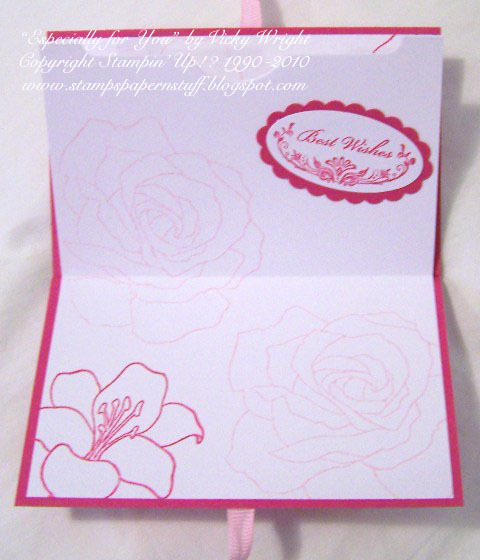 To celebrate the current Stampin’ Up! 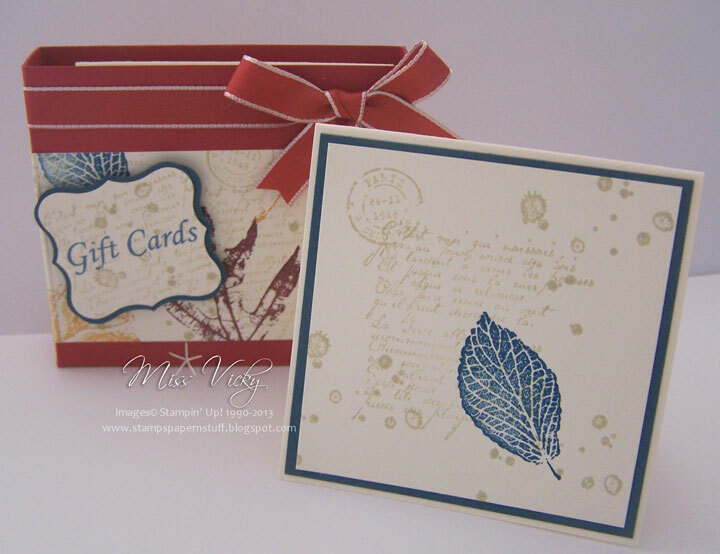 Catalogue, I thought I would share with you the box of cards I created again using Retiring Products. The idea come about after creating my card for the current Sunny Challenges challenge, which still has one more week to run, so it is not too late to link your creation with Mr Linky. 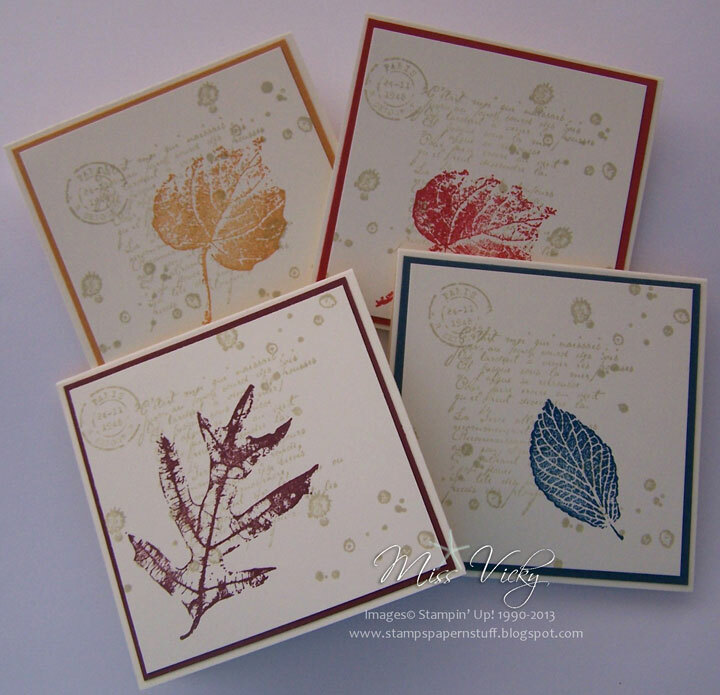 If you remember I created a box of 3 x 3 Gift Cards using Nature Walk & the Regal Inks which are retiring, a couple of days ago, so this time I thought I do would a similar sort of thing using the retiring Subtles Colours. 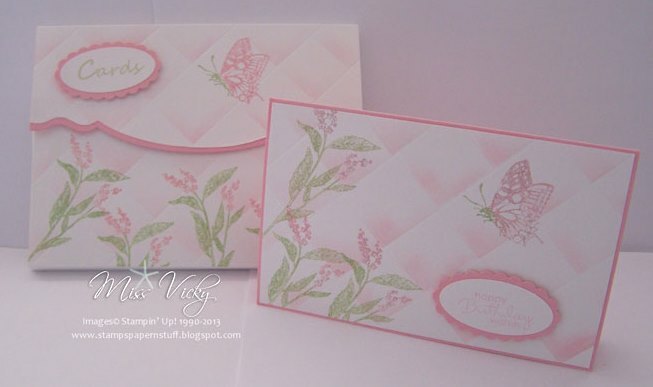 I created 4 cards – 2 x Regal Rose & 2 x Pretty in Pink. 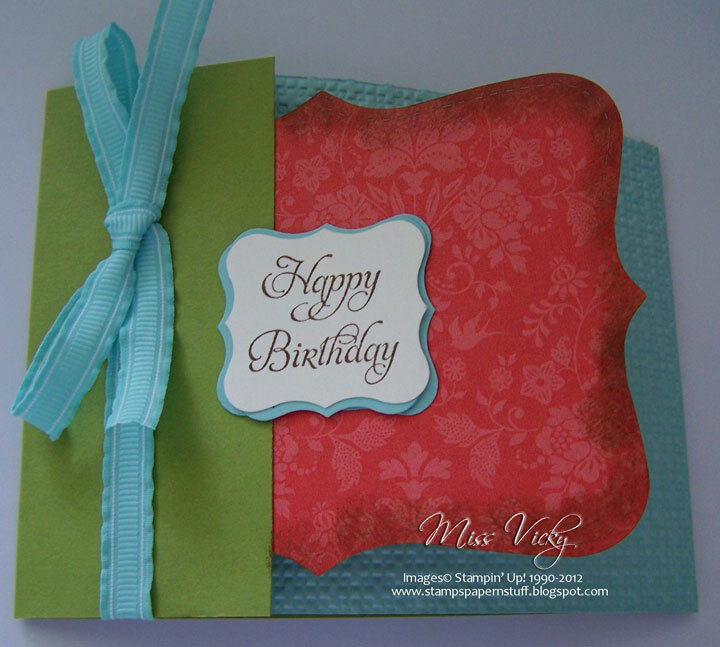 All cards have a different greeting/sentiment on them. 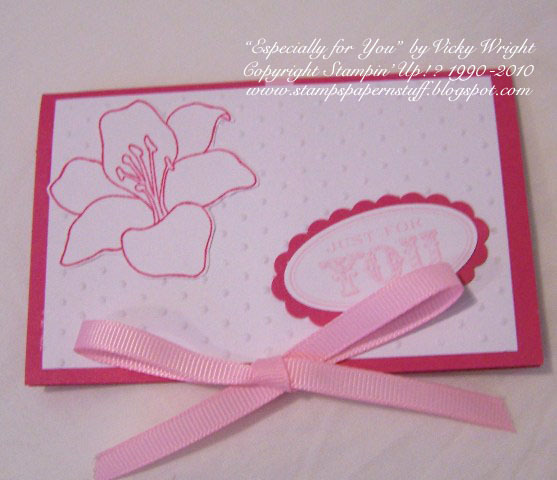 The box has touches of Pretty in Pink. The word “Cards” on the box was created in MDS & printed in Certainly Celery. Again, the box is something I saw on Pinterest, although much bigger, so I set about adapting it to suit what I wanted & that was a set of 3 x 3 Gift Cards. I’m really happy with the final result, but more so that I could achieve something using all the retiring Ink Colours & Cardstock – Riding Hood Red plus Ribbon. 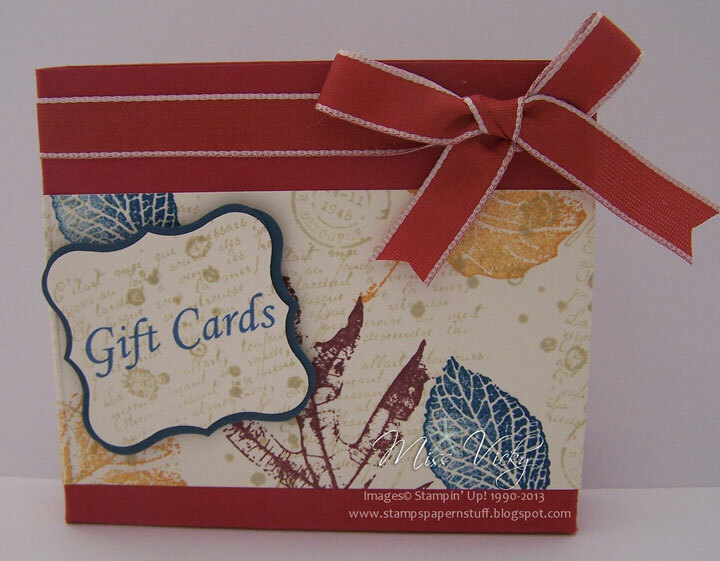 Categories 3-D Projects, French Foliage, Gift Card Holder, Gift Cards, Punches, Stampin' Up! 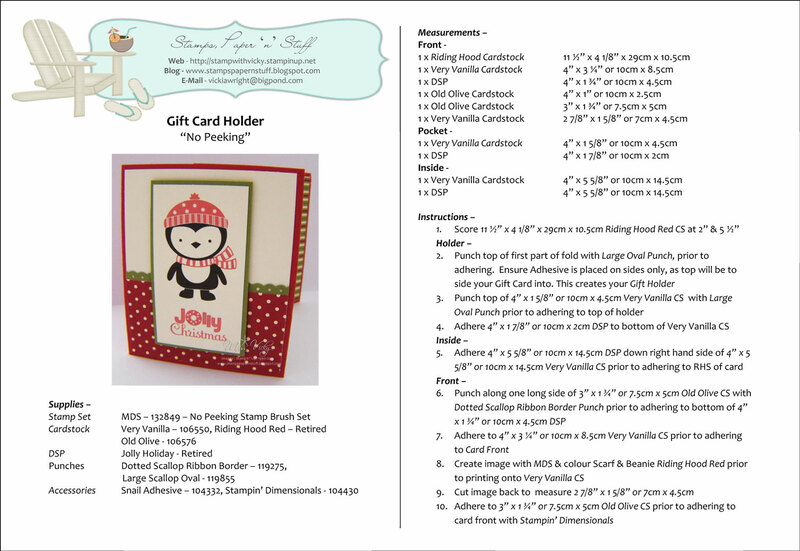 I found this tutorial for a Gift Card Holder over at Created by You, which is owned by the very talented Sharon Field. It looked so interesting & lovely that I thought I would give it a go. I’ve used all my new products from SAB. 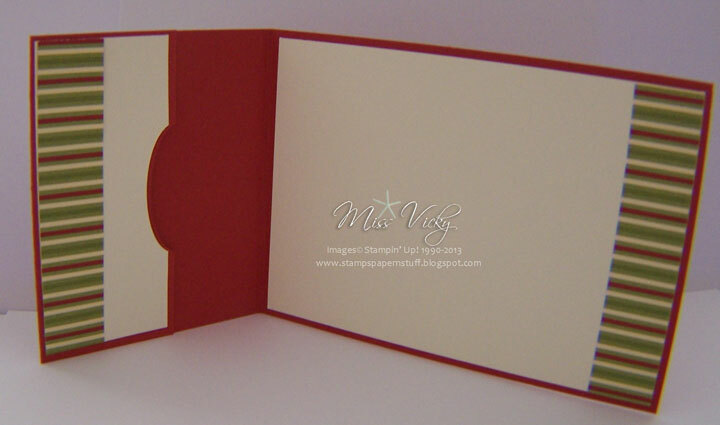 Of course, I adjusted mine a little so that it could fit our standard envelopes in Australia. since creating this one, I’ve played around with it a bit & did a couple of different things to it, but more about that in the next couple days. I wanted to use the matching ribbons that come in SAB but didn’t look any good on the Lucky Limeade, so back to the drawing board for me. I’ve sat myself down tonight & come up with a matching Gift Card Holder to go with the card in previous post. I’ve often seen these holders around the blog world, but have never attempted to make one. After much trial and many errors, no instructions, I think I may have nailed it!